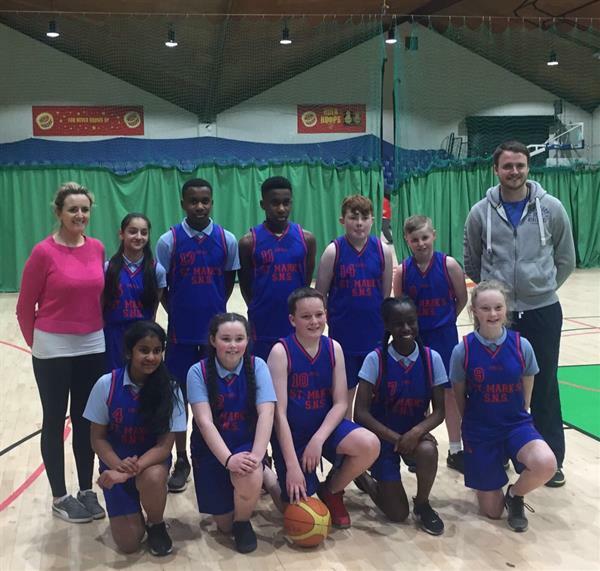 This year St. Mark's S.N.S are entering into a basketball tournament in the National Basketball Arena, run by An Garda Síochána. Last year St. Mark's played some terrific basketball and made it all the way to the semi-finals, where we were narrowly beaten by the team that went on to lift the trophy. This year five boys and five girls were chosen to represent St. Mark's and they have been training really hard in preparation for this year's tournament in May. Training takes place in the school hall every Wednesday during big lunch and we wish the team the best of luck in the tournament.